Started learning how to cook. All I can make are fried eggs with tomatoes at the moment, but those are some delicious eggs and tomatoes I'll tell ya hwat. @Akazora do you have any thoughts on Ultra Sun and Moon yet? I'm biased as heck in Sun and Moon's favor, since I loved the games so damn much. Knowing that, it probably shouldn't be much of a surprise that I'm hype and have always been hype for USUM. I've been looking for an excuse to experience the Alolan region all over again, and was even considering dropping another 40 bucks on a copy of Sun just to do it. Even if USUM are more like Crystal/Emerald/Platinum and less like BW2, I would personally be more than satisfied. I know I'm in the vast minority though. From what I've seen, at least on reddit, most people don't have very high hopes for USUM. The general opinion seems to be that USUM are just SM with a few new bells and whistles, with nothing new to contribute to the story and only a limited expansion of the region itself. In other words, DLC masked as a full-priced game. I can certainly see where this is coming from. Unlike BW2, which was a sequel to BW and actually directly continued a story while introducing a ton of new updates to the Unova region, USUM is just an alternate universe. Some have speculated that maybe it's an alternate universe where you move to Alola one year later than you would have in the SM universe, which causes a chain reaction that greatly alters the story and can only be appreciated if you'd played SM as well. 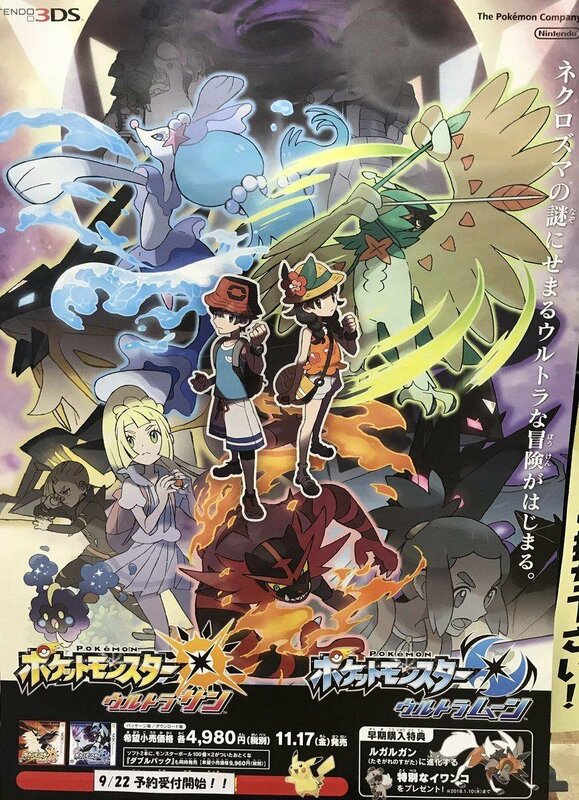 But considering the scene in a recent trailer that showed the MC, Hau, and Lusamine viewing the opening of an Ultra Wormhole at Aether Foundation (which looked identical to Nihilego's first appearance in SM) and a picture on the main Pokemon website that showed the MC finding Lillie and Nebby after they got lost in Melemele Meadow (which is a pixel perfect match from that same scene in SM, save for the textbox's aesthetic change), most signs are pointing to that not being the case. There's also the issue of there simply not being too much to get people super excited. For a long while, we only knew of a few new locations (the Pikachu Park, the new beaches on Melemele and Akala, that Ultra Space-ish bamboo lookin' place, etc.) but all of which seemed rather isolated and not very well integrated into the region. There is Dusk Lycanroc, which is only obtainable through an event and not very interesting, as well as some new exclusive Z-Moves (like Clangorous Soulblaze for Kommo-o) which are okay I guess (except I don't ever plan on using Kommo-o, especially if it's a late-game catch again). The one new feature to the game revealed so far, that picture studio mode, is considered by most (me included) to be just a one-and-done mini-game to try, and even then if the game's story doesn't require me to do it I may never even touch it. And so far, despite some characters like Ryuki and Kahili looking like they're going to play a bigger role, others like Hau, Hala, Professor Kukui, Lillie, and Lusamine seem to reprise their roles from the original games. Also, since the MC is running around with the Trial Amulet on, it's likely Island Trials are returning. Some people were hoping those empty plots of land you can see around Alola in SM would become Gyms and that the Trials would be scrapped, back when people were speculating of a potential "Pokemon Stars." But in USUM, only some of those empty plots of land have been filled, and at least one of them is now that picture studio I mentioned earlier. Sooo, not a very convincing start. UB Assembly and UB Burst have generated some decent hype though, as they're the first new Pokemon to be introduced mid-generation ever. Granted, some are of the opinion that the UBs, while new Pokemon, aren't nearly as revolutionary as adding in, for example, a brand new evolutionary chain that you can randomly catch in the wild. UBs are kind of like legendaries, and SM left them to be exclusively dealt with in the post-game. Some are worried UB Assembly and UB Burst are just going to fill similar rolls as the Ultra Beasts in the Looker quest, detached from the main story. But thankfully, there's still a lot to look forward to and speculate about! For one, we haven't seen a single one of the Trial Captains in any way, so even if Trials are returning it's possible they'll be completely revamped. I'm certainly hoping this is the case, as I loved the shenanigans of the Trials in SM but would probably be burnt out if I had to do the same things all over again. Speaking of characters that haven't returned yet, Team Skull is curiously missing from all promotional material. While we've seen parts of Aether Foundation members and Lusamine in trailers, nothing related to Team Skull has been shown yet. And Po Town on the official USUM map is no longer experiencing rain! It was always raining in Po Town fin SM, so maybe that's a clue? If they completely removed Team Skull I would be a bit sad, since they're my favorite Pokemon team, but if they're revamped in some way that would be interesting to see! Also, a CoroCoro scan has revealed the Pokedex with be at least 400 Pokemon this time, compared to the 300 from SM. They'll mostly be Pokemon we've seen before, but some are holding out for potentially brand new additions to the Pokedex, like UB Assembly and UB Burst. Finally, this new poster that has been put up in Japanese video game stores recently has me finna bust a nut. Obviously, most eye catching are the four masked shadowy figures at the top near the dark Ultra Wormhole. Some are thinking it's a rogue branch of the Aether Foundation, others are thinking they're members of the Aether Foundation from another universe that were transported here through an Ultra Wormhole. Yet others think they're Team Galactic members who got lost in Ultra Space and ended up here as well (it would make for an interesting segue to the inevitable Sinnoh remakes in Gen 8). We see our first look at Gladion (so technically first member of Team Skull that's returned, but there's no guarantee that he's even a member of their group this time around). He's also missing his trusty Type:Null, which may just be because its irrelevant to the theme of the poster, but then again Lillie is featured with Nebby, sooo... Speaking of Lillie, she's rocking that Z-powered form of hers and is even holding a Pokeball, so maybe she'll finally become a trainer??! Perhaps she'll get that Alolan Vulpix that was shown in a few trailers, like she does in the anime. We're less than two months away from release, and I'm excited. There's still a lot we don't know, but I think I like it better this way. I want to be surprised when I revisit the Alolan region in November! Anyway, those are my thoughts. Um, you don't have to type nearly as much as I did, but I'm curious as to what you think of what's been revealed so far as well. i find that here become colder and colder.where the people go? Someone sounds like they're salty they had the Longest Road card sniped from them. Also, I totally knew it was ProZD on the vocals, no one can impersonate Goofy quite like he can, hah. Eyoo, congrats on getting it! I had a really strong urge to get one myself when it was first announced, since I've been meaning to play such games as ALttP, Yoshi's Island, Earthbound, Super Mario RPG, as well as Starfox 2 of course. But I have neither the time nor the money to justify the purchase. How are you liking it so far? @machine what level of proficiency are you at in Python? Do you want to learn coding or the applications of the same. If it's the former then you can probably look at several YouTube tutorials available. If it's the latter then I'd say go for some standard course on data structures and algorithms and concurrently study a bit of game theory and graph theory and basics of linear algebra. But if it's just for fun, you might want to do competitive programming. Thanks man! It was tough to get at several stores, but my job had some in stock, so I bought one the morning of it's release. I haven't actually got around to playing it due to work/school, but I have a break coming soon, so I'm gonna tackle it then. I'll let you know though! Wow Balthazar, you are still active here? A complete beginner pretty much. I've actually already gone a bookmarked a couple video guides, tutorials, and getting started tips that looked helpful, but I had some stuff suddenly come up a couple weeks ago, so haven't properly gone through all of them yet. 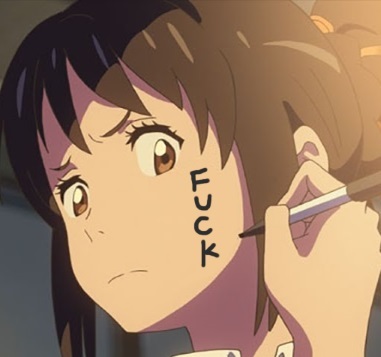 Though I have some vague ideas of what I want to try to do, I don't really have a goal in mind, so thanks for the tips of stuff to potentially look into. And also thanks for the heads up about competitive programming, I'd not heard of that before and it seems interesting!